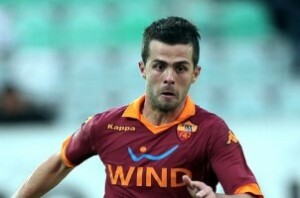 Reports are out claiming that Premier League are racing to sign AS Roma star Miralem Pjanic. The Sun revealed that Manchester City, Tottenham and Arsenal are all keen on one of Europe’s hottest talents. The attacking midfielder, 23, joined the Italian giants from French side Lyon in August 2011 for more than £9million. But his blistering performances have seen his value soar to £20m.